Bill Finkbeiner completed his 30th Leadville Trail 100 in a time of 28 hours, 6 minutes, and 7 seconds. 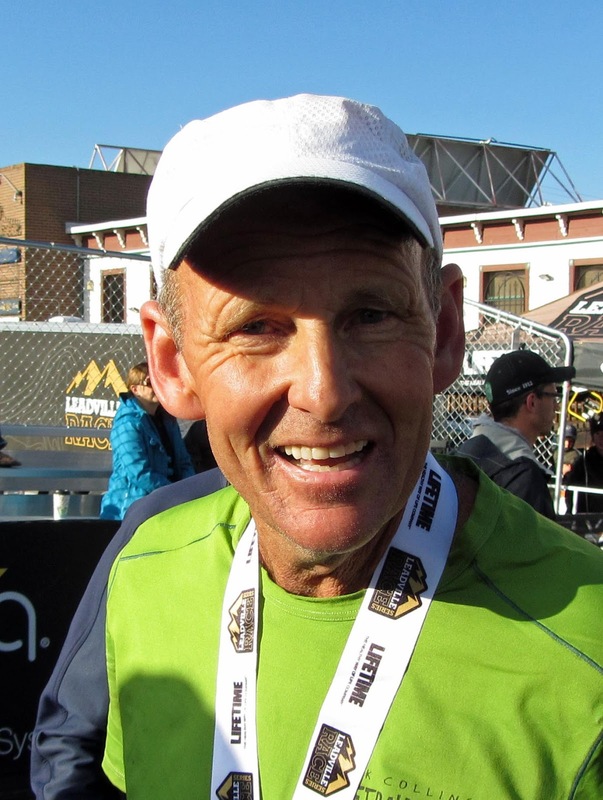 He ran his first Leadville Trail race in 1984 and hasn’t missed the annual race since. The race began Saturday at 4:00am with an international field of more than 1000 runners. Finkbeiner described the weather as “about the best he has seen” in 30 years. There were 494 official finishers who completed the race under the 30 hour time limit. For Leadville, a 50% finisher rate is a good year. Finkbeiner was happy with his race, finishing more than an hour faster than last year. He went out faster than last year and maintained his speed throughout the race. He had his usual problems during the run, but nothing unexpected cropped up to slow his progress. Finkbeiner has a habit of falling asleep while running distance races. When he falls asleep, he wanders off course and needs to be directed back to the proper line. I paced him along a section of narrow, heavily traveled roadway when he began falling asleep. His eyes would close and he would walk or run toward the ditch or into oncoming traffic. He drifted in and out of sleep continually for 2 hours. Finkbeiner crew, Kim, Lisa, Christian, Alene, Chris, Bruce, Dana, Mark. Finkbeiner had a bad stomach that plagued him throughout the race. However, he was able to keep moving without any extended stops or visits to a medical tent. Grilled cheese sandwiches and hamburgers are his favorite food when his stomach is feeling good. Blisters were a problem for him this year. The balls of both feet needed blister repair treatments more than once, but Finkbeiner said he has experienced far worse. Finkbeiner’s mental resolve is what gets him though these long races. He never expressed any negative thoughts or had any complaints. Just after a bout of nausea and vomiting, Finkbeiner said to me, “and this is why I love doing ultras”. 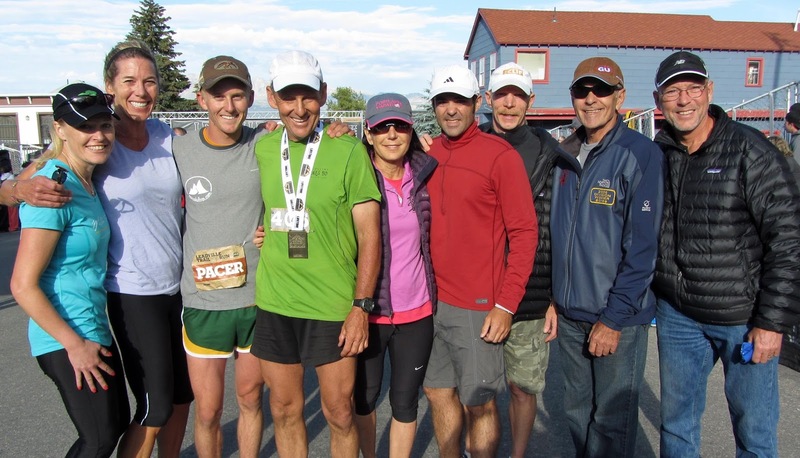 Finkbeiner crossed the finish line Sunday morning with his arms held high in triumph. He flashed his hands to the number 30 in sign language. Brimming from ear to ear, he celebrated with his crew on the finish line. Ken Chlouber, the former race director, congratulated Finkbeiner as well. 30 years ago Ken talked Finkbeiner into coming out to Colorado for a newly formed race in Leadville they called, “The Race Across the Sky”. Finkbeiner said he thought about his 30 year Leadville streak throughout the course of the race. “About half way through, I decided I would end it this year. During the second half, I was happy with quitting (at 30)". 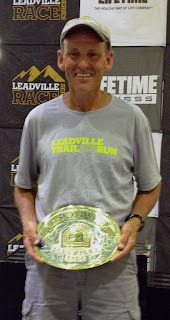 After the awards ceremony where Finkbeiner was cheered for his achievement and given a huge award, he told the media, “This is my last Leadville”. At breakfast the following morning, Finkbeiner said he felt surprisingly good and actually "enjoyed" his 1 mile plus run before breakfast. As we ate, he began to bounce ideas off his friends. “I really should come back for one more when I’m 60”. “I would like to do 35, but years 31 through 34 would be tough”. Never say never for Mr.Bill Finkbeiner.